Here I am in Boston. On my way into the city, I knew I’d be here for a while. Before I hit the tarmac on the runways of Boston Logan International Airport, I was determined to find out what grounds I must cover, culinary and otherwise. Besides chowda, I knew I couldn’t leave the New England region without a lobster roll. In my pursuit, as an eager rookie, I swiped my bank card at a vendor among those lining the halls of Quincy Market. Bad life choice. Sometime later, I was relaxing on the lawn of the Commandant’s house, clearing my thoughts as students of Berkeley produced their traditional concert. I asked a lady for a good place to get a lobster roll, explaining my prior failure. 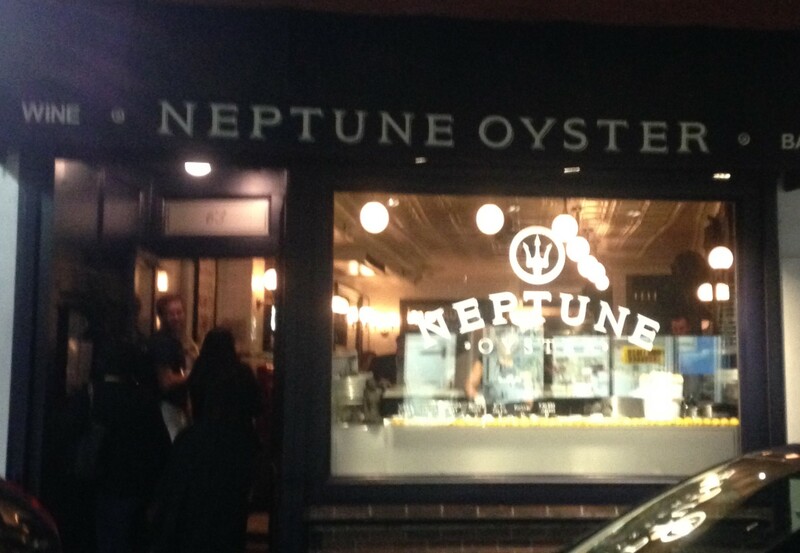 And she, without hesitation mentioned Neptune Oyster in Boston’s North End, adding it to my to do list. The trip was weeks in the making (as this post, weeks in the publishing). As often as I do it, I try not to go it alone. But weeks prior, time ran out before my family and I could walk in. And just a week before, I invited people from work with zero success. 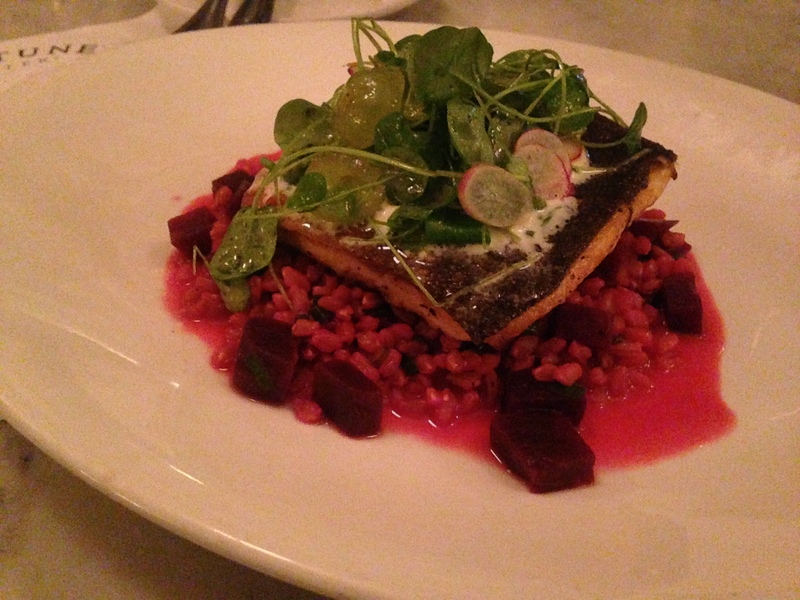 So here I was, requesting a table for one, and I was kinda glad that I did; the dining room was small and packed. Sardines in a can? The lay out sort of encouraged the family style atmosphere. Waiting on my table, I admired the silhouette that shucking oysters in the window, with the clean and fresh presence of lemons in the corner. As I sipped my ginger ale 🙂 in wait of the arrival of my mussels, the couple to my right visiting from Australia were having fun comparing a sampling from the raw bar, until my domed plate hit the bar. When I say domed, I’m referring to the bowl that hovered over the dish; I used it to harvest my shells. As the cover was removed, a fragrant cloud of smoke took its place. 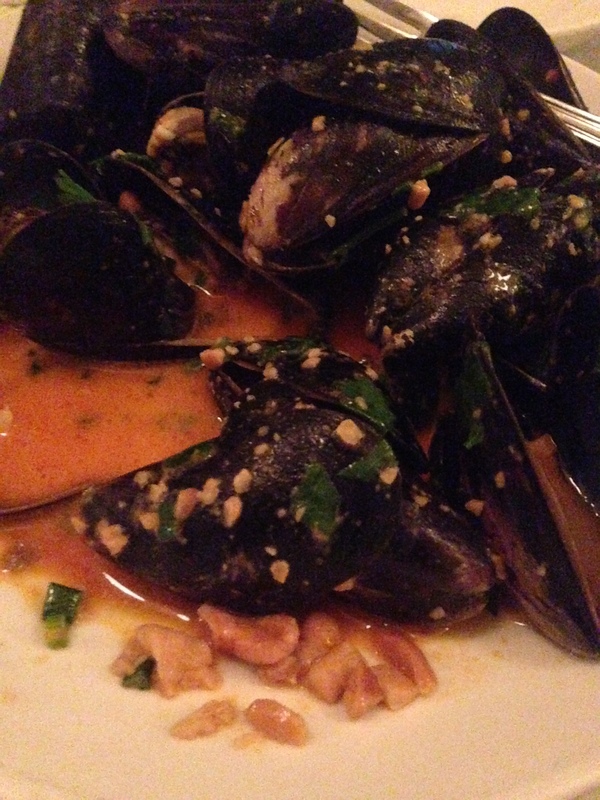 And when the smoke cleared, it revealed a heap of mussels, greater than I had imagined. I thought about asking my Australian neighbors for help but that just felt weird. So I got to work on the task at hand. Somewhere during my analysis of my mussels, the folks to my right had moved on to their main course, which appeared as though it too was intended for sharing: the nights special, lobster spaghettini, and a warm, toasted lobster roll with melted butter and a pile of fries. I promised myself I would have to return for the handsomely stuffed lobster roll. And finally, what meal is complete without dessert? This one was. Not that I was looking for any, but with the North End so heavily populated with bakeries and patisseries, it’s not so uncommon for the restaurants here not to offer dessert, leaving it to those who stand solely for that purpose. Please see through my tone and recognize that this is not a rant. My server was accommodating. Granted that in a space this intimate, there wasn’t much space for hiding but he was there when I needed something. What more do I really need him for? I enjoyed myself and the food was a nice break from what’s become the norm for me. However, the more you ask me to pull out of my pocket, the more quality I expect you to put on my plate; the more I pay attention to the finer details. 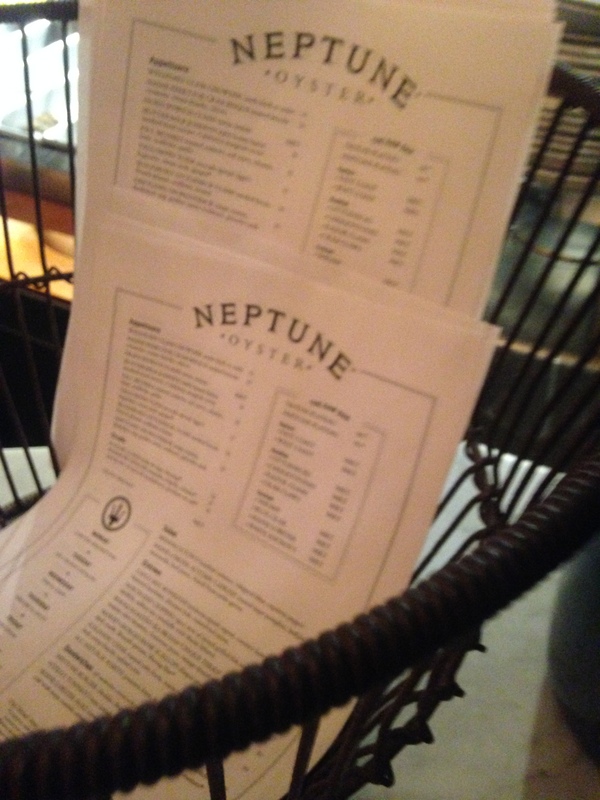 Nevertheless, I will certainly return to Neptune, but next time for the lobster roll.